Houston Dynamo promotes responsible drinking and positive fan behavior at BBVA Compass Stadium. The Dynamo Fan Code of Conduct and details of the Dynamo alcohol management plan that appear below ensure that fans have a safe and fun experience. No alcohol may be brought into BBVA Compass Stadium. Guests will not be allowed to enter if they appear to be intoxicated. Alcoholic beverages may be purchased inside the stadium. Beverages purchased in the stadium are prohibited from leaving the stadium. All persons must be 21 years of age or older and provide proper identification to purchase alcoholic beverages. Management has the right to refuse service at any time. Alcohol sales can be terminated at any time at the discretion of BBVA Compass Stadium management. For Houston Dynamo matches alcohol will not be sold after the 75th minute of the soccer match, or earlier at BBVA Compass Stadium management’s discretion. In the West Club last call will be made 45 minutes following the conclusion of the match, or earlier at BBVA Compass Stadium management’s discretion. For other events including concerts and other sporting events, management will determine the shut off time on an event by event basis. Drunk and disorderly behavior and or violation of any alcohol policy will result in ejection from the stadium without refund. 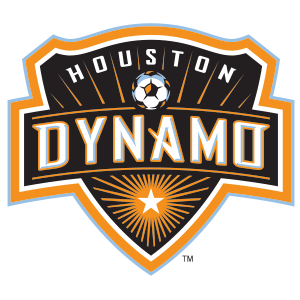 Houston Dynamo takes on FC Dallas this season in the Budweiser Good Sport Designated Driver Challenge, a friendly competition to determine which club’s supporters can register the most designated drivers. Designated drivers who make this pledge at Houston Dynamo home games receive a free soft drink and are entered into the Major League Soccer Responsibility Has Its Rewards Sweepstakes.